On the Take Back Santa Cruz Facebook group a member posted in regards to a young mom with a 6 month old and 2 year old needing assistance. Immediately members jumped in to help. 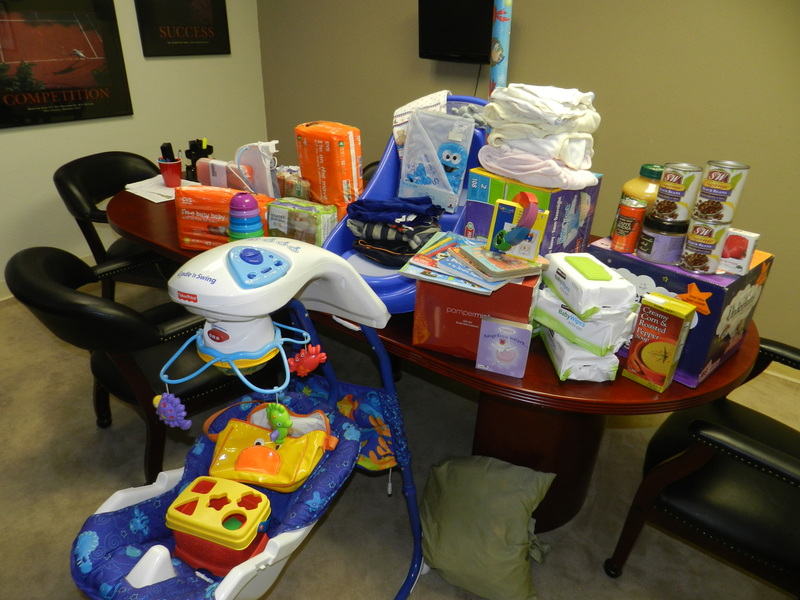 Over the the end of 2013 and into 2014 items she needed would appear for her family at the TBSC headquarters. Everything she may need, from diapers to a cell phone. Her babies received a cozy Christmas thanks to the generosity of so many. Watching Santa Cruz moms jump in to help a fellow community mom was inspiring and heart felt. Here is just one load of essentials she picked up. She would like to remain anonymous due to her current situation but asked us to tell you all thank you. You have changed her life. She is in awe of humanity and the kindness of strangers. Thank you Take Back Santa Cruz. Your dedication to community matters and it shows.